Elaine works with one-on-one with clients to build and improve their financial practices. All in support of creative careers. Whether you’ve got a couple of hours or a couple of days, Elaine will bring her expertise to your group through a customized workshop to build financial literacy in those you serve. Not able to attend a workshop or boot camp? Have no fear. Elaine brings her financial, tax, and educational experience and expertise to the artistic sector by providing a variety of online resources to artists and arts organizations interested in building financial literacy. 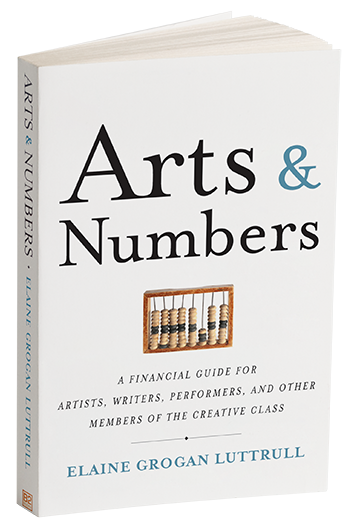 In addition to Arts & Numbers, Elaine’s writing, specifically business advice for artists, is regularly featured in Professional Artist magazine, the Clark Hulings Fund’s “Perspectives” series, CERF+, Orangenius, and a handful of other outlets.